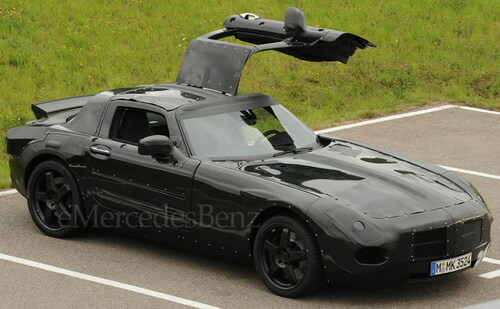 The forth coming Mercedes-Benz SLC super car will be on roads in 2011. Some spy shooters have taken its pictures and we can have a look on web. This gives us all a chance to see what magnificence we will see in Mercedes -Benz SLC. 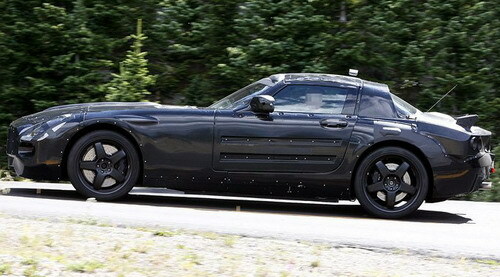 It is said to be the successor of SLR McLaren sports car. SLC has also a long hood bent downwards, giving it a road touching profile. With a wide and big front grill, looks like a car coming out of central casting. The pictured car is clad in plastic tapes, so nothing can be said with complete surety. Yet its code name is known as C 197. It looks like it will be a top ranking car in Mercedes, coming with a divine elegance. Experts are expecting that the car is coming with AMG V8 power and the strength may fall in between 580 hp to 600 hp with a capacity of 6.2 liters. As far as speed is concerned, it is speculated that SLC will have a top speed of 196 mph top speed and 0 mph to 62 mph within 3.8 seconds. The Mercedes-Benz SLC concept car is expected to be seen at Frankfurt motor show fall 2009. These SLRs are built in coordination with McLaren as a joint venture. This partnership is going to end soon this year and Mercedes has come up with SLCs to replace the SLRs from McLaren. With rear driving wheel the car is expected to be a success.